There are plenty of options to lighten skin tone including bleaching creams, lasers, chemical peels, etc..but these treatments might not suit some skin types, particularly those with sensitive skin.Some of these procedures can also result in permanent skin damage or may fail to give you satisfying results.Therefore, natural remedies are the best alternative to all the above options.They are considered to be beneficial on all skin types because of its skin-friendly nature and long-lasting results. Cleansing skin with the concoction of milk & rose water can be extremely valuable for those who wants to lighten dark, dull complexion naturally.Milk is enriched with whitening, moisturising, soothing and healing properties.Rose water has mild astringent and skin toning properties that help brighten complexion, shrink pores and removes all traces of impurities. Combine both the ingredients throughly and using a cotton ball wipe it over your face and neck.Using this regularly can dramatically improve your skin tone. 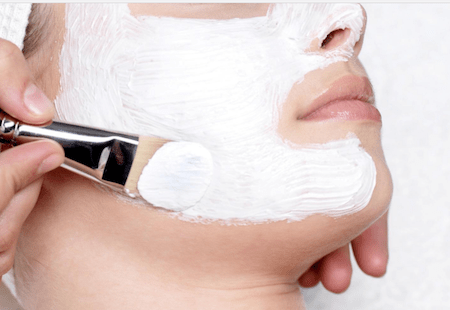 If you are looking for a cost-effective way to reduce surface imperfections, uneven skin tone, dullness and darkness, then you must try a yogurt face mask.The lactic acid in yogurt exfoliates the dead skin surface cells to help you unveil a smoother, lighter younger-looking complexion. Combine all the ingredients well and smooth over your clean face with the help of a brush.Let it sit for 10 minutes and then wash off with lukewarm water.After one week of use, imperfections are minimized and an overall more youthful, smooth, radiant and lighter look of the skin is achieved. Microdermabrasion is a cosmetic treatment in which layers of skin are removed using abrasive, air-driven crystals to remove all skin imperfections and for improving skin tone.However, getting a professional microdermabrasion can be very expensive but here I bring you a much much cheaper way to do your own microdermabrasion at home. Make a slightly soupy paste by mixing all the ingredients.Apply the paste on your face and rub in a small circular motion.Do this for 2 minutes and then rinse off with lukewarm water.Follow this twice in a week.Believe me this treatment really works, it smoothes unevenly textured skin, evens out uneven skin pigmentation and lightens skin tone. Also, check out How to improve the color of your hands and legs overnight. Combine all the ingredients in a small bowl.Pour a small amount of the oil blend into your hand and massage on your face. Make sure to massage for at-least 3 minutes.Place a clean washcloth under hot tap water until it is completely soaked.Open it and place over your face.Leave the wash cloth on for about a minute.Repeat if needed with the other side of the washcloth and then use the corners of the washcloth to gently remove any remaining oil.No need to wash your face later.Doing this every other day will make your skin naturally fairer, younger and glowing. 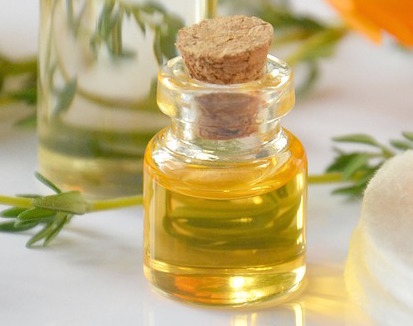 This DIY facial oil deeply moisturizes your skin, repairs damaged skin, fades discoloration, tan, facial darkness, grants the skin a beautiful luster and makes it appear fair and youthful. Mix all the ingredients thoroughly and massage it into your skin in a circular motion.Using this once a day, can make a big difference in how great your skin is going to look.